THERE WILL BE NO REFUNDS ON REGISTRATION! If yoou will not pay by Credit Card, please do not register online. Contact Florencia for paper registration. Camp includes lunch and snacks, Kids are welcome to bring additional snacks or a different lunch from home. Kids will NOT be allowed to buy lunch at the Clubs Restaurant unless they are signed out of camp for the day! What they WILL NEED: Water shirt / crocs or swim shoes /Swim Suit / Sun Screen/ Sun Glasses/ Water Bottle/ Life Jacket/ Whistle / Fishing Rod if they have one! No Cell Phones/ iPods /ipads /itouch’s or other electronic device will be allowed. All personal items need to have your Childs name in a bold sharpie. NOTE: Kids need to be picked up on time (4:00pm) after 4:15 they will be considered to be in after care and you will be charged $12 per day per child. After Hours is provided everyday: 4:00-5:30 $120 per session per child. All Campers will be required to take part in Beach Clean Up and in the daily set up of equipment and take down of equipment. We make great efforts to keep all kids with their friends, but if we have issued with not paying attention and following instructor’s directions they will be separated for that activity! We have NO tolerance for any Bullying behavior! 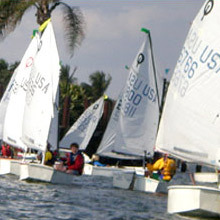 Sailing and Windsurf are sports that require WIND, on the days when there is NO wind we proceed with other camp activities such as team games, kayak adventures and more! Fridays we have a cake/cupcake competition. This will be done at home and brought in on Fridays. Cakes will be judged on taste and design by all the instructors. This can be a group project or solo! Last Friday in session we end the day with a “Crazy Gutter Ice Cream” first they eat it then it becomes a crazy mess. All kids enjoy this activity but we do set limits and if anyone does not want to get dirty we encourage them not to take part. At the end everyone will get ice-cream to eat! 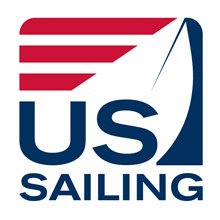 PLEASE READ: I promise to maintain a positive attitude and to be responsible for my conduct at all times while participating in Miami Yacht Club – Youth Sailing Foundation camps and will follow these rules and regulations and any other rules given by my coach, instructor or counselor. I will maintain appropriate behavior towards all camp members, keeping in mind that there are kids of different ages in camp, including kids who may be younger than me. I will wear my lifejacket and whistle at all times in the water, recognizing that these are important for my safety. I will respect the property of others, by not stealing, damaging, destroying or borrowing another's property without permission, nor tolerating such behavior by other team members. I will treat my team members, instructors and counselors with respect, regardless of race, age, religion, gender, national origin or abilities. 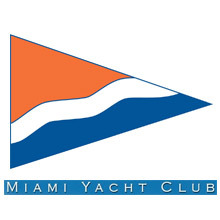 I will treat the staff and facilities of Miami Yacht Club with respect and care. I will follow all safety procedures given by my instructors, counselors and other responsible adults, understanding the paramount importance of safety. I will notify a coach or other responsible adult if I feel that another sailor is in danger. I will not abuse my teammates, whether verbally, physically, or emotionally, nor tolerate such conduct in others, understanding that every team member has a right to enjoy their participation. I understand that swearing, in any context, is unacceptable behavior. 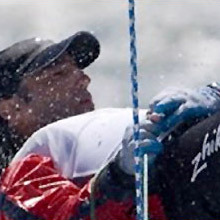 I will encourage good sportsmanship from fellow sailors, instructors and counselors. I will strive to listen and learn from my coaches. I understand that if I create an unsafe environment for myself and others by not listening I will be brought back to shore and to the office without participating in that activity. I will be responsible at all times for the transportation, safe storage, maintenance, and setup of my boat and other equipment as directed by the staff. I will obtain permission from my instructors/counselors to use the bathroom or any separation needed from the group. I will not bring any electronic devices ( iPods / iphone/ itouch or other)to camp. If such a device is found, I understand it will be turned into the Director of Program and kept by the Director until the end of the day. 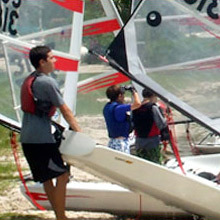 I will go to an instructor or Director of the Program with any problem that I have with any camper that needs a resolution.